Indian star athletes Hima Das and Muhammed Anas won a silver each in women's and men's 400m race at the 18th edition of the Asian Games 2018 in Jakarta. Hima Das, create second national record in two days as she clocked 50.59 seconds to win the silver medal in the podium. Bahrain's Salwa Naser won the gold in a new Games record time 50.09 seconds. Another Indian in the women's 400m final, Nirmala Sheoran finished fourth in 52.96. 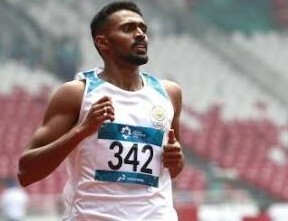 In men's 400m final, India's Muhammed Anas clocked 45.69 seconds to win the silver medal in the podium.